Much as in the rest of Poland, folk art in and around Tarnów is well represented, and Cepelia - located right on the market square - is the obvious place to begin. Places like the Burek market just southwest of the Rynek are also worth having a look around, as you’ll often find somebody selling unusual objects such as simple, carved wooden spoons, which as well as making interesting keepsakes also have a practical use and provide a local artisan with an income that can help keep traditional crafts alive in the region. 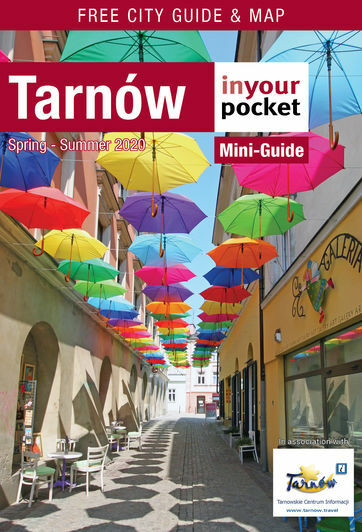 The name Tarnów incidentally comes from the Polish word for blackthorn, which is the main ingredient in the local speciality herb tea, tarninówka, which can be bought from the Tourist Information Centre as well as a few other places around the city: keep an eye out for it. A treasure trove of gifts and souvenirs including Tarnów T-shirts, dolls, painted eggs, mugs and more.